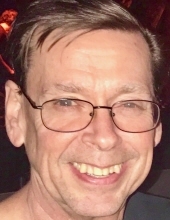 Charles C. Vessey III, age 62, of Nashua, NH and formerly of Concord, MA, went home to the Lord peacefully on Thursday, January 31, 2019 at Southern New Hampshire Medical Center. He was the loving husband for 22 years to Lisa (Perry) Vessey of Nashua, NH and also formerly of Concord, MA. Charlie was born in Lexington on November 20, 1956 as the first child of the late Charles C. and Lillian (Taylor) Vessey. After graduating from Concord-Carlisle High School in 1974, he served in the U.S. Navy and was stationed in Rota, Spain. Upon his return home he attended Sylvania Technical School in Waltham. He was employed as an Electronics Technician at Fractal Audio Systems for the past seven years, and was previously employed at Daddy’s Junky Music and Woburn Vending. Charlie developed a passion for ministry, specifically working with young adults. He became an ordained pastor in 2015 and was honored to serve as an Associate Pastor at New Life Christian Church in Hudson, NH. He treasured his church family deeply. Additionally, Charlie will be remembered as a faithful Red Sox fan who never missed a game, a heavy metal music enthusiast, and a loyal friend with a unique sense of humor and wit. Most importantly, he lived out his deep-rooted faith in Jesus Christ, which was an inspiration to all. In addition to his wife, Charlie leaves behind his children, Charlie Vessey and his wife Monique of Acton, Melissa Mixon and her husband Jonathan of Groton, and Jennifer Snay of Nashua, NH, his grandchildren Jace Mixon, Jett Mixon, and David Lutz, his siblings, Russell Vessey, Patricia D’Alleva, Adora King, Carolyn Sharpe, and Deborah Vessey, and several nieces and nephews. Family and friends are invited to gather for visiting hours on Wednesday, February 6th from 4 to 8 p.m. at Dee Funeral Home, 27 Bedford Street, Concord, MA. His memorial service will be held on Saturday, February 9th at 11 a.m. at New Life Christian Church, 272 Lowell Road, Hudson, NH. A private burial ceremony will be held at St. Bernard’s Cemetery. Arrangements are under the care of Dee Funeral Home & Cremation Service of Concord, MA. "Email Address" would like to share the life celebration of Charles C. Vessey, III. Click on the "link" to go to share a favorite memory or leave a condolence message for the family.